Happy April everyone! I can feel spring in the air! The flowers in our apartment complex are in full bloom and my morning walks with Minnie are FULL of bird chasing (this means staring down the birds then going crazy at the end of her leash until they fly away). I’m looking forward to many farmer’s market trips for amazing produce, but until then here are some recipes for your viewing pleasure! 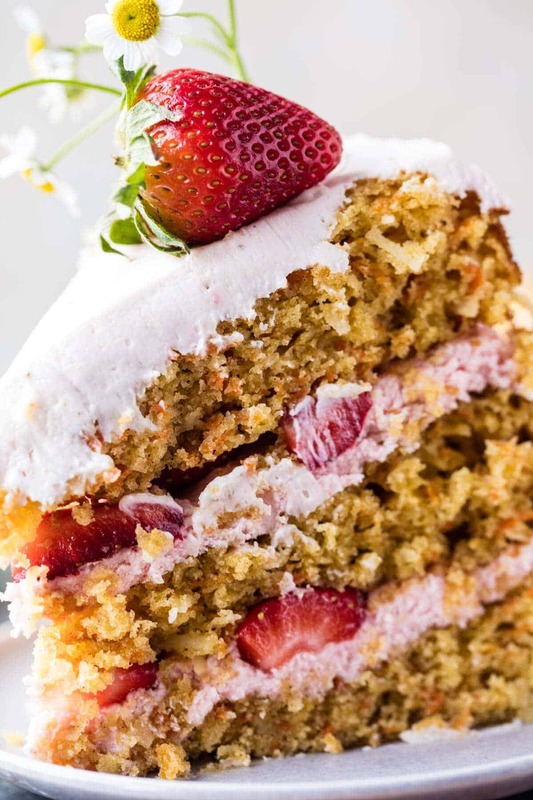 I need this strawberry coconut carrot cake with marscarpone buttercream (from Half Baked Harvest) for breakfast! 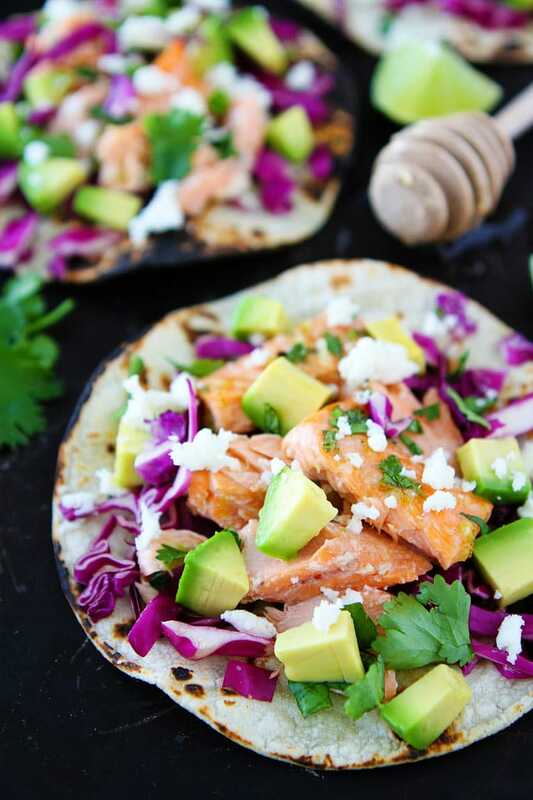 These honey lime salmon tacos (from Two Peas and Their Pod) look so flavorful. 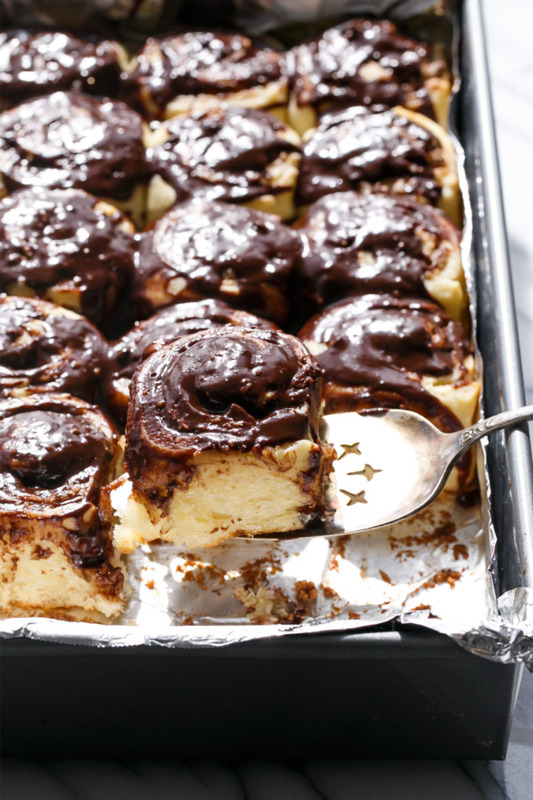 Whoa, these mini chocolate peanut butter cinnamon rolls (from Love & Olive Oil) look so decadent. Chicken Biryani (from Simply Recipes) is my go to Indian food order and now I can make it at home! 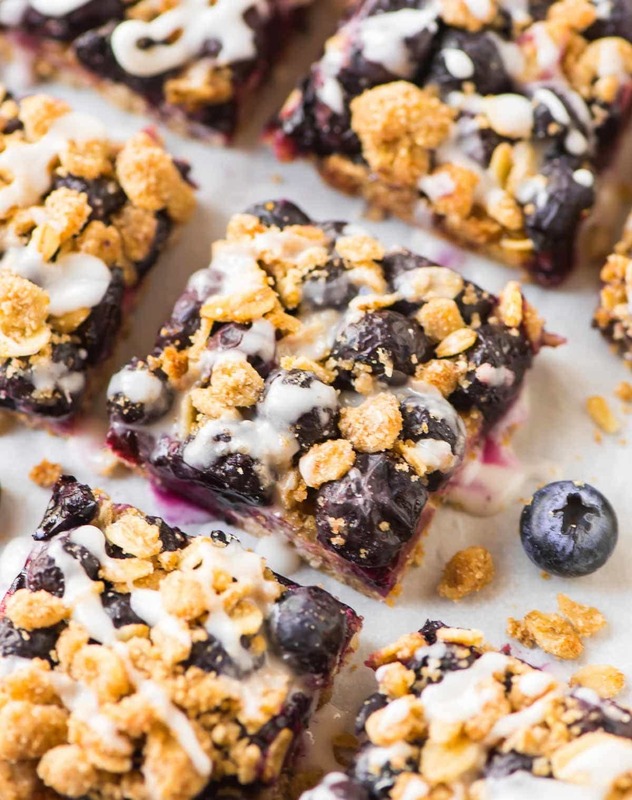 Blueberry oatmeal bars (from Well Plated) are so pretty and sound amazing. 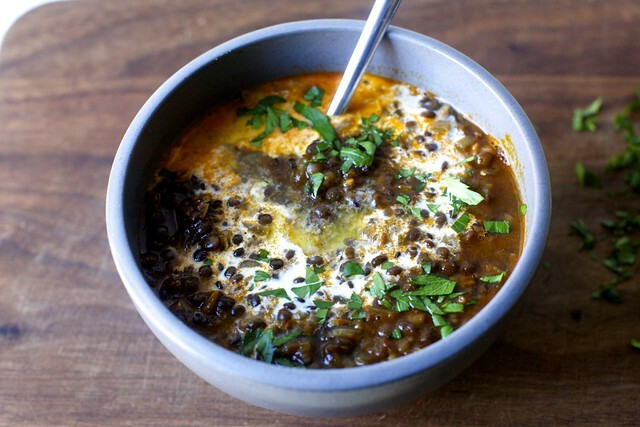 We have been eating a lot of lentils lately and these Punjabi-style black lentils (from Smitten Kitchen) are definitely going to show up on our dinner table. How cute is this funfetti peanut butter cookie cake (from The Itsy Bitsy Kitchen)? Baked mac and cheese (from Pinch of Yum) is my ultimate comfort food. 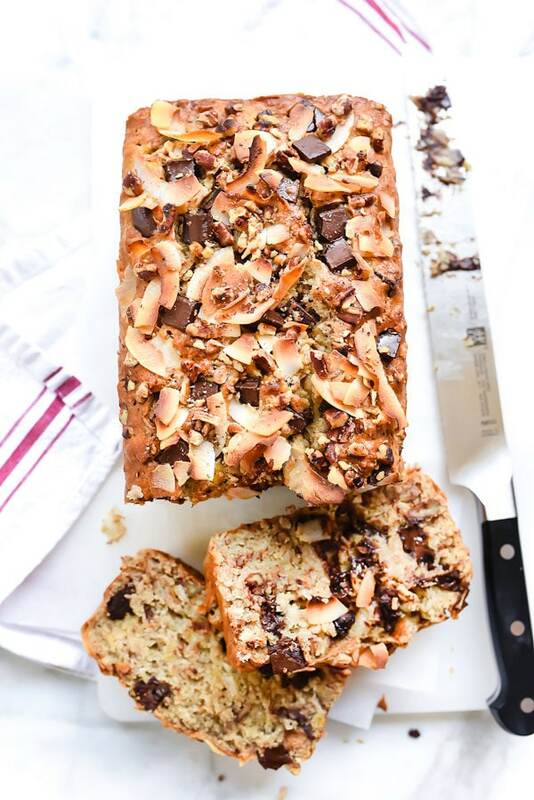 This German chocolate banana bread (from Foodie Crush) is such a fun twist on a classic recipe! I’m swooning over the color of these coconut blood orange margaritas (from Freutcake).